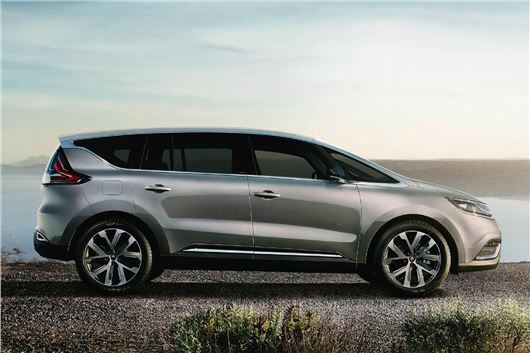 Renault has given us a preview of the production version of the 2015 Espace, to be launched at the Paris Motor Show on 2nd October. It retains the Espace virtues of being large, elegant and innovative, slightly bigger than the Galaxy and Sharan, and is very similar to the Espace concept car shown last September at the Frankfurt Motor Show. Like previous generations of Espace, a model range that first appeared 30-years ago, a brightly-lit, comfortable, and occupant friendly cabin with 'floating console' complement the fluid lines of the new car. Both five-seat and seven-seat versions feature ingenious interior modularity and meticulous attention has been paid to detail with regard to the new car’s design and build. Unfortunately for the UK, there are no plans for the 2015 Espace to be sold in Right Hand Drive. Brilliant, as usual. It's terrible that we can't have that here, it's the result of the great unwashed flocking to buy ( or rent more likely ) fleets of those dull grey German cars, leaving only the crumbs for the best car company in the world to chase after. There should be a ban on people without degrees from a decent university being allowed to drive bland so called premium models. They should be required to paste their university certificates in the window in the space vacated by the recently discarded tax disc.